Sébastien Le Prestre Vauban was born into minor nobility in Saint-Léger-de-Foucheret in May 1633. At the age of 17, he joined the Prince of Condé’s regiment as a cadet in the war of the Fronde against Cardinal Mazarin and the regent, Anne of Austria. In 1653, Vauban was taken prisoner and passed into the service of Louis XIV, where he was to remain for 53 years. When he was 22 years old, he was awarded the qualification of « ingénieur ordinaire du roi », engineer to the king. His first-hand experience of action led him to consider stronghold attack procedures. He designed and standardized a stronghold siege method consisting of a logical series of twelve separate stages. This study was published 30 years after his death as the "Traité d’attaque des places". An excellent engineer, Vauban improved fortifications by recommending adapting the bastioned trace to the terrain and spreading out defences in depth. As well as fortifying towns, Vauban also captured them. He knew only too well that no fortress was impregnable. Its role was to act as a deterrent, therefore serving as little as possible. After the sieges at Tournai, Douai and Lille, which confirmed the engineer’s renown, Louis XIV entrusted him with the task of building the citadel at Lille, known as "the Queen of Citadels”. 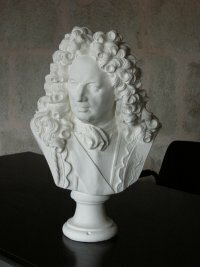 From 1668 onwards, Vauban was in rivalry with the Chevalier de Clerville. In actual fact, it was a power struggle between two of the king’s ministers, namely Louvois, Vauban’s "protector" in War and Colbert, Clerville’s "protector" in the Marine. Vauban therefore had to settle for the fortifications in Louvois’ department, namely land fortifications. With the Dutch War in 1673, the engineer convinced Louis XIV to set up his « pré carré » or duelling field on the north-eastern border, reducing the number of his strongholds to retain only the strongest and thereby creating a double line of fortified towns. From 1678, after the death of the Chevalier de Clerville, Vauban became «Commissaire Général des Fortifications», the General Commissioner for Fortifications of the Kingdom and he controlled, countersigned and planned out all fortification projects. On the Service of the Sun King, he strengthened the protection of the territory by devoting himself to coastal and land defences starting with those in Flanders and Alsace. He travelled the equivalent of 4000 kilometres per year to conduct sieges or to repair or construct fortifications. On the 14 January 1703, Louis XIV made him Marshal of France for his services to the kingdom. Vauban died in Paris on 30 March 1707 at the age of 74. His body was buried in the Bazoches Parish Church. In 1808, his heart was taken to the Invalides Church in Paris. From 1653 to 1703, Vauban took part in 48 sieges, restructured 130 strongholds, built about thirty strongholds from scratch and left behind him about thirty plans which were used after his death.